I want to begin by offering the warmest of greetings to all fromageophiles near and far. It certainly has been a while, and we have all been busy little cheese lovers. Some of us have changed geographical location; some of us have gotten married; others have developed mild obsessions with pizzamaking. I think we’re all aware that FDM activity has, shall we say, diminished slightly over the last year or so. One might wonder if this has become some kind of elephant in our collective cheese room, filling us with dread and fear that something has been lost, that new posts might go unanswered, that the fires of fromage may be waning. But can this really be? Granted, there has been an undeniable lack of fromage-centric postings as of late. But does this necessarily indicate a lack of desire for said postings? Dare I say: NAY! Quite the contrary – in fact, I would venture to guess that fromage is still alive in our hearts and minds (not to mention our mouths and stomachs). As Ricky R. so aptly put it in his crowd-pleasing post entitled Taking Back the Curd, we must remember that there is always a natural ebb and flow to the world of amateur cheese tasting and, though we may not always find the time to write about it, “the spirit [of FDM] is still alive and strong!” (Ricotta, 2007). Indeed, Ricky, indeed. That said, I come to you today with a message of hope. Let me assure you: there is fromagey activity curdling away in this land. I, for one, have been scheming to develop and explore an as-of-yet uncharted realm of fromage study and plan on publishing my results within the next week or two. If that’s not enough to pique your curiosity, I have received intelligence that another FDM member is working on a new and exciting soon-to-be-published cheese-themed post. I hope that you all look forward to these posts as much as I do. 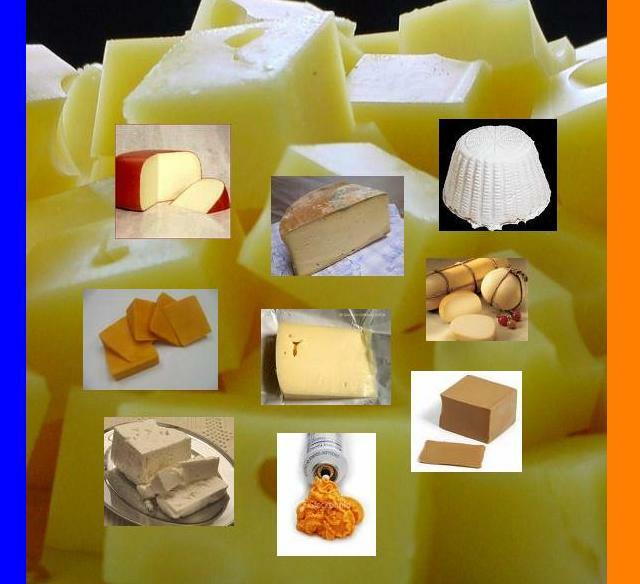 As a token of my deep affection for FDM, I have created a mosaic-like artwork – a fromage quilt, if you will – based loosely upon the nine listed FDM members. Enjoy and I’m sure we will all meet again soon in the hallowed halls of fromagedumois. Fromage du mois ('Cheese of the Month' in French) started in 2006 as a new experiment in cheese blogging in the U.S.
3 childhood friends from Virginia, then living in San Diego, Washington DC, and London, decided, together, to expand their cheese horizons. They made a pact to try a different cheese, each month, at the same time, and then blog about it. Many years later, the spirit lives on and the journey continues. Join us in our quest for cheese excellence. Why can't we have cheese bars in Britain? Fromage-du-Mois Enterprises, 2006. Awesome Inc. theme. Powered by Blogger.